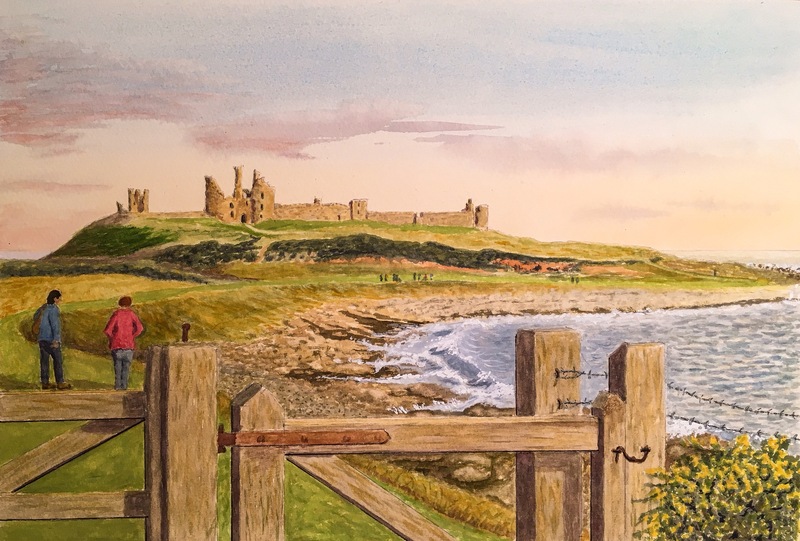 This entry was posted in North East England and tagged castle ruins, craster, dunstanburgh castle, north east england, northumberland coast, old gate, seascape, two girls walking by sea, walking, wars of the roses, watercolour painting by richardhartjacksonart. Bookmark the permalink. Many thanks! This is one of my favourite walks since I was a lad.